Japan fullback Ayumu Goromaru has perhaps the most eye-catching kicking style in world rugby: with both feet planted, he calmly stares at the ball and raises his arms. After a flick of the right wrist, he moulds his fingers into the shape of an imaginary gun before finally releasing his "trigger", a ferocious right foot in a sudden explosive action. It's mesmeric to watch. From the initial calmness in approach to the tightening of his finger gloves -- which are worn to prevent the ball from slipping -- every movement is calculated and precise, a wonderful piece of engineering that has taken years to perfect. Twelve years, to be exact. "The big reason behind my current style is down to my first year at university -- that was the year after England won the World Cup [in 2003]," Goromaru told ESPN via a translator at the team's Warwickshire hotel. "Jonny Wilkinson came to Waseda University, who I was playing for at the time, to give kick coaching as part of an Adidas promotion. He taught me his kicking style and that helped initiate my own style. "He came to Japan after becoming the No.1 kicker in the world. He was there mainly for the promotion, but afterwards he gave a kicking session for one hour. It was then I saw how much passion and great work ethic he had towards kicking. I was very impressed and touched. I still remember how stimulating that was. "It wasn't so much the advice he gave -- it was his execution. He was kicking 5 metres in from the touchline with a very sharp angle. That is very difficult for a kicker -- and it was very windy that day. But he had a 100% success rate. I remember being shocked to see just how good he was." Goromaru's kicking style has served him incredibly well. Following his time at Waseda, he began his professional career at Yamaha Jubilo, where he still plays in Japan's Top League today. He is now his country's all-time leading scorer with 679 points -- and he's not even 30 yet. Mention of this brought a look of disbelief on to his face. Smiling gently, he explained how it is still so difficult to comprehend. "I started playing rugby when I was three," Goromaru said. "The first memory I have was wearing a jersey and chasing a ball. On the other side of the field I was chasing the grasshoppers. That's a fond memory -- I still have the photo of me in that jersey. "I never thought I would become Japan's leading scorer. It's still unbelievable. But the record is there to beat. One day, it will be beaten." Goromaru's record is astonishing considering his stop-start international career. He made his debut for Japan aged 19 years old in April 2005 and was quickly branded the face of their future. However, he fell out of favour under former coach Jean-Pierre Elissalde and didn't feature for the Brave Blossoms again until 2009, when John Kirwan took over. He was also left out of Japan's 2011 World Cup squad altogether but, after Eddie Jones took the reins in 2012, Goromaru was brought back into the fold. On September 19 in Brighton, his international redemption was complete. He scored 24 of his side's 34 points as Japan produced the biggest shock in World Cup history by beating South Africa. Official stores closed early due to high demand for Japan shirts, while Goromaru and his team-mates were subjected to heightened media attention all around the world. "Because we had done such training and preparation, it was unexpected to have all this media attention [after beating South Africa]," Goromaru said. "The day after, the captain mentioned there would be a lot of attention and warned us not to get distracted. But we're really happy to have had all these people coming up to us in the street and asking for pictures. It's really nice to feel that. "Eddie [Jones] has a very strong influence over Japan and the national team, because of his great success in previous World Cups. "Helping South Africa to victory in 2007 and also leading Australia to the silver medal in 2003 means the team has been able to trust him and come along this far working under him. That trust was correct." The triumph over the Springboks also had huge significance back home in Japan. Rugby, instead of baseball and sumo, dominated the headlines and interest has rocketed. The timing could not have been much better: Japan hosts the next World Cup in 2019, the first time the tournament will be held in Asia and away from the traditional superpowers of world rugby. However, Goromaru insisted there is still work to be done. After the euphoria of beating Heyneke Meyer's side came a crushing defeat to Scotland and, with two pool matches against Samoa and USA remaining, Japan's lofty ambitions of a first-ever quarterfinal berth now hang in the balance. "Rugby in Japan never had a big exposure but by beating South Africa there has been a big boom in Japan right now, which is a very positive path to 2019," Goromaru said. "It's great to have a World Cup in our home country. However, to make that successful we need to come out with a good result from this tournament. The team and all the players are very aware of that. "Since the launch of this Japan project, with Eddie coming in 2012, everything was geared towards changing Japanese rugby history and making the national team one that the Japanese people could be proud of. We needed to create that environment, which we have accomplished in a way." 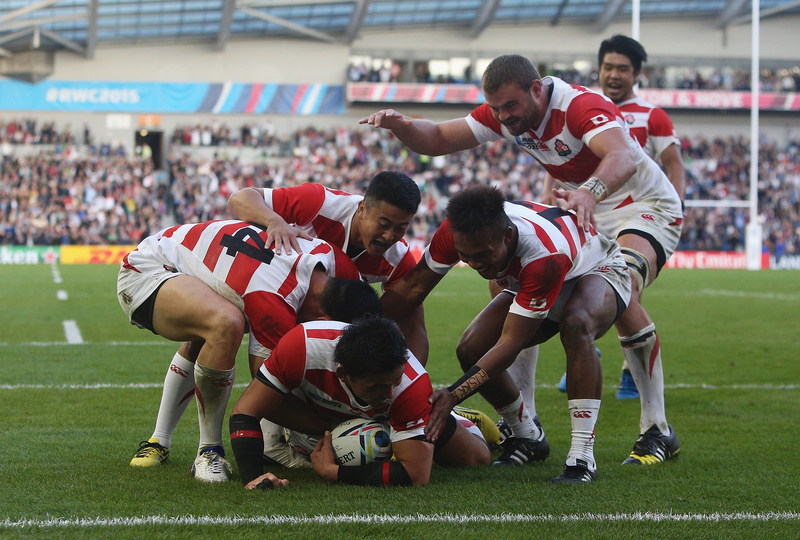 Whatever the outcome at this year's tournament, Japan and Goromaru in particular have left their mark on the world stage but questions will be asked about what comes next. With the future of Japan's Super Rugby franchise in jeopardy, the likes of Goromaru may have to look further afield for a new challenge. The Top League has improved vastly but bigger carrots will no doubt be dangled. 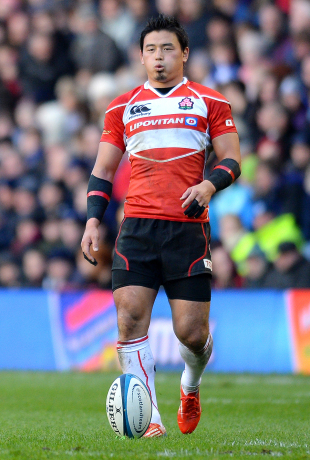 "I'm conscious of it," Goromaru said when asked if he would like to play outside of Japan. "Considering my style of play, maybe northern hemisphere rugby would suit me better than southern hemisphere." There is a slight smile when England is mentioned -- maybe this country hasn't seen the best of him yet.